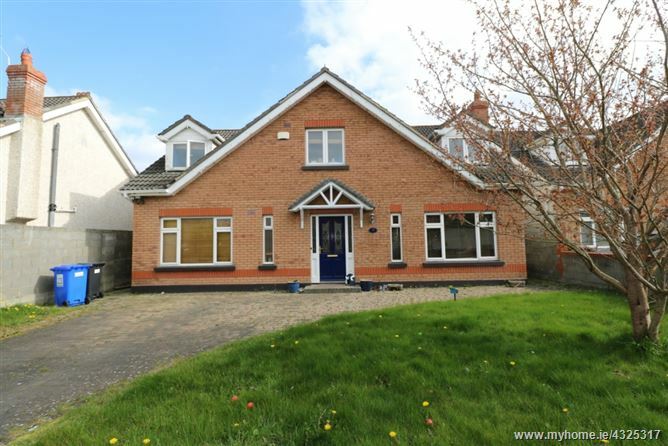 This superbly appointed 4 bedroom detached residence is an ideal family home situated in Bettystown, Co. Meath. The property boasts deceptively spacious accommodation, extending to c. 173 sq.m. (c. 1,861 sq.ft. ), that is well proportioned with bright and spacious living areas and is further complemented with a large rear garden. Briefly, this is a quality home in a prime family location surrounded with local amenities such as Shops, Golf Course, Tennis Club and Bettystown Beach etc. Bus services to both Drogheda Town Centre and Dublin City Centre can be met within a short walk, whilst for the motorist, the M1 Motorway is within a 15 minute drive.